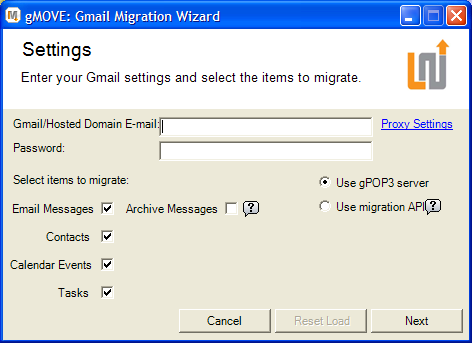 Google has recently updated the migration tools from Google Apps to "move email from anywhere – not just IMAP systems – to the Premier, Education or Partner Editions of Google Apps." An example of solution that uses the API is gMOVE from LimitNone, a tool that migrates your email, contacts and calendars from Outlook to Google Apps. 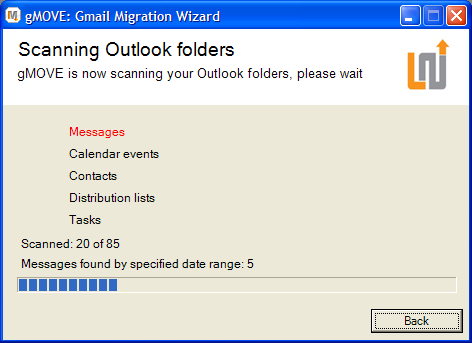 gMOVE also migrates the tasks from Outlook to an iGoogle gadget. The tool costs $19 and it works with any Google Apps account. If you post an insightful comment that explains why do you want to migrate from Outlook to Google Apps, you could get gMOVE for free. Don't forget to include your email address so I can contact you. LimitNone also has a free tool that lets you move from a Gmail account to another Gmail account or to Google Apps: it transfers your messages, filters, contacts and calendar events.